16 september, 2013 Säg något! And I have also bought another game, I got it dirty cheap. Tales of Rebirth for PlayStation 2. A shame it never got an official English translation. But I want the game in my collection, hopefully I can sniff out the other Japan only Tales of games and get then in my collection. 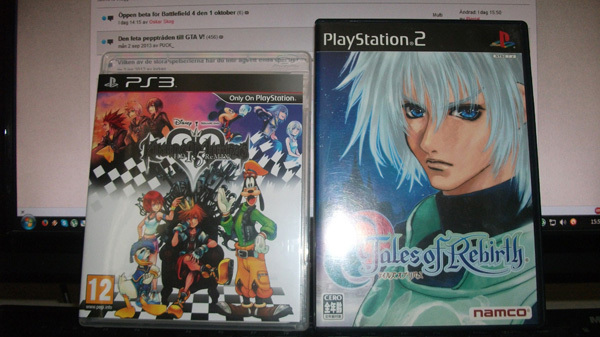 Sooner or later at least and I’ll probably only get the PlayStation 2 games.